These strawberries are the best, and the perfect part about them is you don't need to stick to a recipe (I'll still give you mine, though!). You can make them with just the cream cheese filling or add a chocolate filling too, like I just did for the first time. It's completely up to you. And I won't judge if you eat the leftover filling right out of the bag, it's too good to waste! Here's what you need, plus two plastic bags to pipe the filling into the strawberries and a teensy bit of milk. Mix together the cream cheese, powdered sugar, strawberry dip, and vanilla. In a separate bowl (not pictured), mix together the chocolate chips and butter. Microwave in 30 second intervals, stirring between intervals until melted and blended. Add a splash of milk and mix well. Fill a small baggie with the cream cheese mixture. 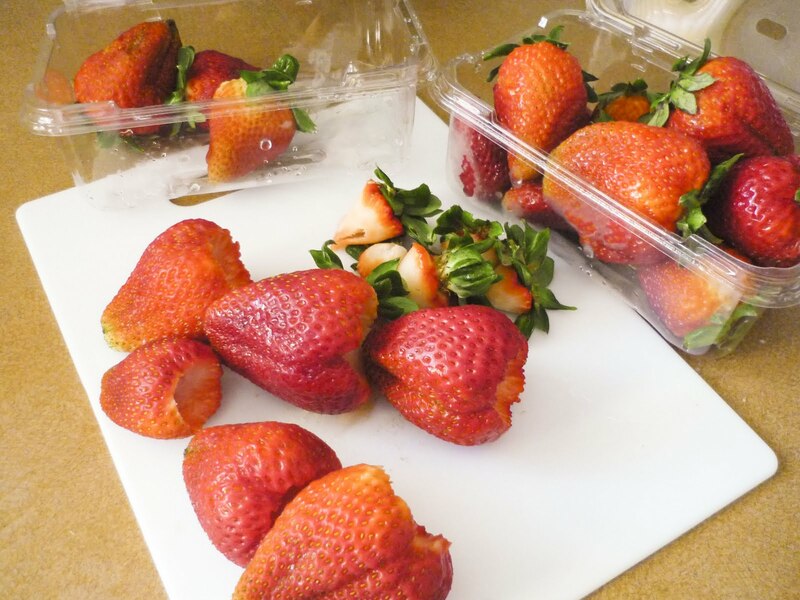 Close the top of the bag, cut a corner of the bag off and squeeze onto one side of the inside of the strawberry as shown below. Next, spoon chocolate mixture into a separate bag, close the top and cut a corner off. 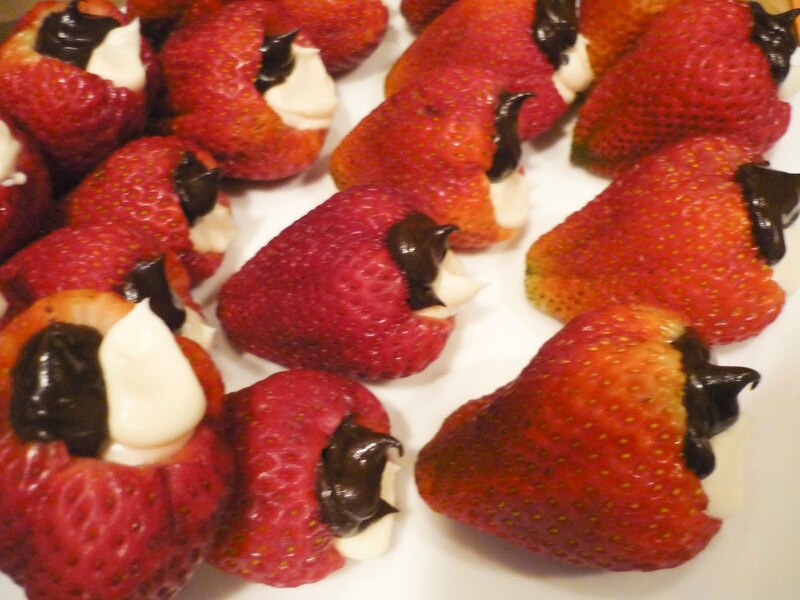 Squeeze chocolate mixture on top of the cream cheese mixture to fill the rest of the strawberry. 1. 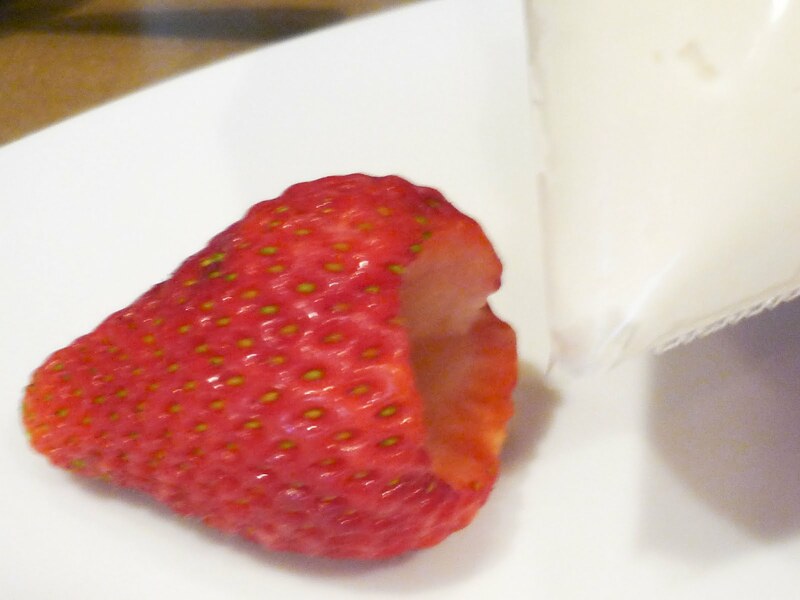 Wash and hollow out the strawberries. Lay them on their sides to fill. 2. 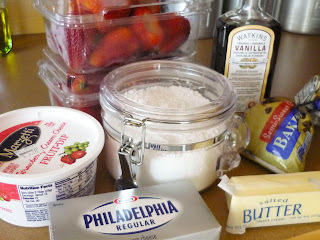 Mix together cream cheese, strawberry dip (or substitute), sugar and vanilla until well blended. Spoon into a plastic bag, seal the bag, then cut a corner off of the bag. 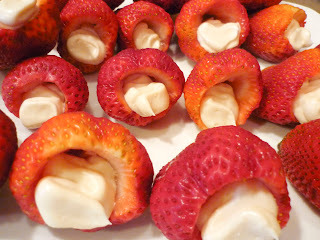 Pipe the cream cheese mixture into half of the strawberries. 3. Place chocolate chips and butter in a microwave safe dish. 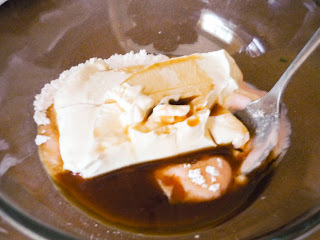 Heat in 30 second intervals, stirring between each interval, until melted. Mix in the milk until well blended. 4. Spoon chocolate mixture into a plastic bag, seal the bag and cut a corner off. Pipe the chocolate into the top half of the strawberry.